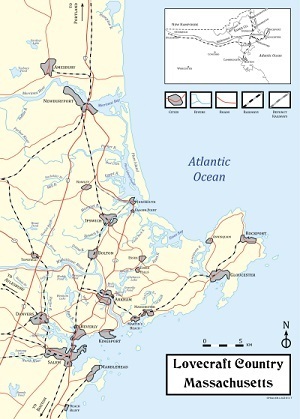 Lovecraft Country starts with a fascinating premise–what would it be like as an African-American to battle the forces of darkness while also battling the rampant racism of 1950s America? Matt Ruff gives the idea a good run in his episodic 2016 novel. The interconnected stories are well-paced and well-told, and open-ended enough to justify the anticipated television series based on the book. But there are some issues with what is actually delivered. Lovecraft Country is fast-moving and full of action, but spends precious little time in Lovecraft country proper. Atticus Turner, an African-American Korean War veteran, travels from Florida to Chicago at his father’s request, only to find Montrose Turner is gone. With his Uncle George and his friend Letitia, Atticus follows his father’s trail to a haunted New England town. The trio rescue Montrose from the clutches of one wizard, only to have the wizard’s son continue to trouble them and their families long after they escape back to Chicago. As if that continuing menace weren’t enough, all this happens under the long shadow of Jim Crow. The plot is loaded with mystery and threats, and each chapter focuses on a single character as part of the larger story. The individual experiences use familiar horror and science fiction tropes from Twilight Zone and The Outer Limits, and leaven them with touches of sarcastic humor. The world is a strange place. Might as well laugh. However, the characters are less well-drawn than I had hoped. Atticus is the brave hero, Letitia the spunky sidekick, Montrose the prickly, righteous father, and Braithwhite the slick, heartless wizard. Wives, children, and friends have similarly distinct attributes, without great depth. The only ones I felt had adequate development were Letitia’s sister, Ruby, and Atticus’s Uncle George. The others all move briskly through the action without making a huge emotional impact. As an ensemble, they work extremely well, and are believable in the bounds of the story. But they are not characters for the ages. –but he fails to capture it. The supernatural pushes in through ghosts, potions, and spell-casting. With the exception of a couple of interludes in another dimension, the tentacled horrors and amoral other gods simply aren’t here. And if Lovecraft taught us anything, it’s that there is plenty of room for cosmic dread and racism in the world. 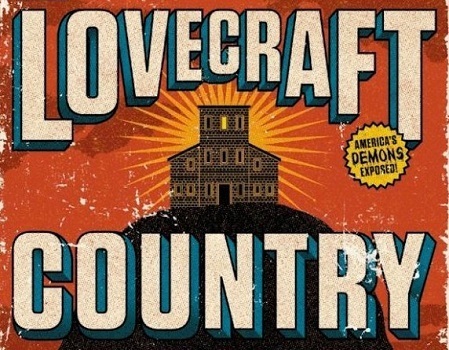 Lovecraft Country is as fun a read as a horror novel about grossly racist Natural Philosophers can be–which is, oddly enough, very. But perhaps it’s a reflection of Ruff being white while his characters are not that the closing scene of Lovecraft Country seems too pat, like the conclusion of a Very Special Episode of a sitcom. And for a novel with such ambitious ideas, the tidy wrap-up sells the whole grand, entertaining plan just a little short of where I wanted it to be.